• Solve the problem of what to do for school assembly items, and more? 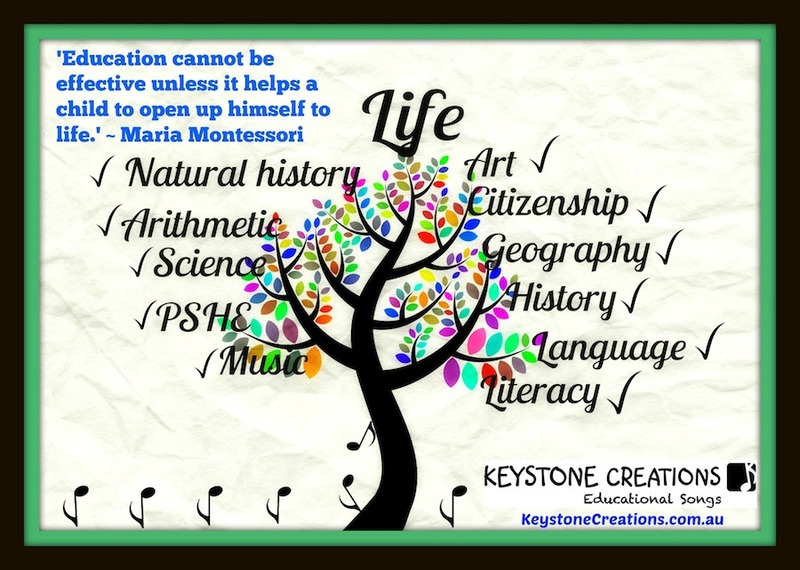 Well, there are teaching resources that achieve all of these outcomes and more ~ through curriculum-aligned songs! 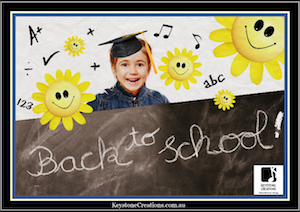 We currently have over 70, song-based, curriculum-aligned publications (downloadable as well as hard copy) to support classroom learning ~ there's even Curriculum KaraokeTM. 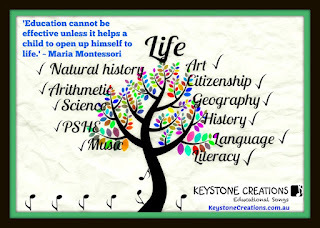 They are born of a firm and passionate belief in the power of song for helping children learn. You can assess the quality of our work with a free, downloadable lyric sheet from our TPT store. While there, you will find full product details, song lyric samples, links to audio song samples, blog posts, etc. I hope this is helpful, and that you find something to support your teaching program. Here's to a great school year, and all the best with your teaching! Teachers everywhere are gearing up for a new school year. We’re thinking about ways to engage students, create helpful learning environments and improve student learning. We are also looking for quality resources that will help to achieve these outcomes. Well, if you are a teacher, look no further! 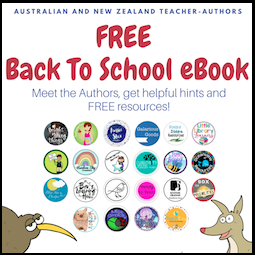 You are going to LOVE this FREE downloadable eBook compiled by the thoughtful, creative and very hardworking teacher, Laura Bright! Don’t be misled by the cover ~ even though the teaching resources are created by Australian & New Zealand teachers, most of them (the resources) are world-friendly! (We’re an inclusive bunch, thinking locally, acting globally..:-)! I am very proud to have been involved in this collaborative effort, as the resulting, 45-page publication introduces over 20 experienced teachers-authors, and TPT store links to some of the quality, tried and tested classroom resources they've created. TPT (Teachers Pay Teachers) provides something for everyone, ranging from Pre K to secondary school ~ mathematics to curriculum-aligned songs! I guarantee that the TPT stores collated in this eBook will become your very own one-stop shops, and that the eBook itself will prove to be an invaluable reference guide throughout this, and the school years to come!